Dry Eyes is a condition caused by the reduction in quality and quantity of tears. In early stages, the symptoms may seem to appear and disappear, but generally worsen as the day progresses. 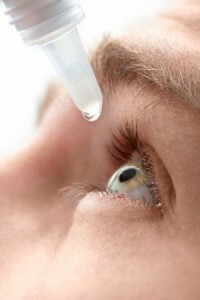 Dry Eyes is typically treated with artificial tears and/or prescription drops or ointments. Closure of the tear drainage system (punctal occlusion) may also improve symptoms. Dry eyes affect millions of people throughout the world. The condition is most common in women after menopause, but it can affect both sexes and all age groups, including children. A common cause of dry eye can be over the counter and prescription medications such as antihistamines, beta-blockers, sleeping pills, pain relievers and many others. Overuse of diuretics can also play a role in developing dry eye. For this reason, it is very important to inform your ophthalmologist about any medications you are currently taking, which can help the doctor in the proper diagnosis of the disease.